A few American scientists exposed mice to Ebola Virus and then obtained the antibodies in a serum which the mice produced to fight against the invading Ebola virus. The serum is stored at Subzero temperature. Some monkeys were exposed to Ebola virus. Four of the monkeys were injected with the serum and they survived while the control monkey was not given the serum and it died after few days of exposure to Ebola virus. Brantly is currently been treated in Emory University Hospital facilities in Atlanta and he is reported to be “miraculously” improving. He has very high chance of been cured. Alas, America has kept this a top secret. In as much as I celebrate the courage of the scientists in obtaining the serum, I also give them a thumps down for limiting the use of the serum to only America/Americans. If I were them, Africa would have access to this serum as soon as possible but that would mean minimum financial profit to the inventors/investors but maximum health care to the patients. This is another reason why African scientists must be challenged to solve this Ebola puzzle by ourselves and for ourselves. I want to read in the newspapers that African scientists have also obtained so much quantity of the said serum, secured necessary certifications and commenced treatment of Ebola patients. We shouldn’t let our irresponsibility rob our brothers and sisters their precious lives by a ‘curable’ disease. Its time to prove your Bachelor of Science Degree. Go back to the Laboratories. It’s ‘Operation Cure Ebola’. Charles Awuzie holds a degree in Biochemistry, a preacher of the gospel of Jesus Christ and blogs from Johannesburg. CLICK HERE TO ORIGINAL TEXT. 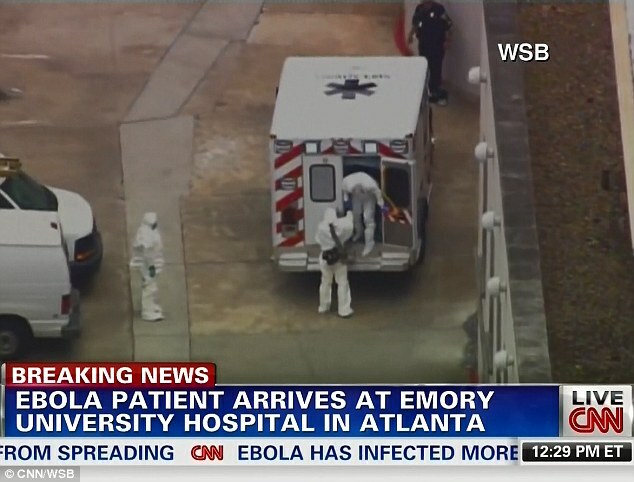 This entry was posted in Uncategorized and tagged Atlanta, Ebola. Brazil fans set bus on fire in Sao Paulo after World Cup defeat.